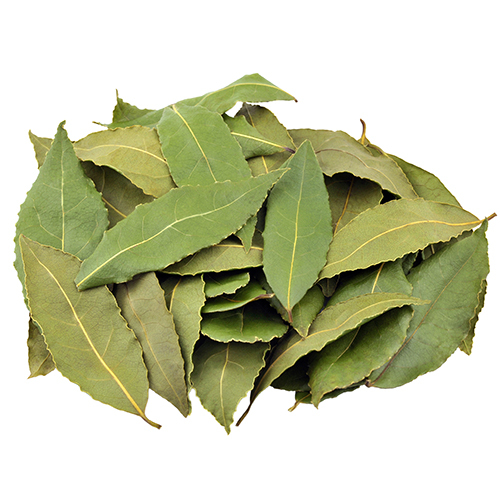 Bay leaf is native to the Mediterranean region. There are many types of plants whose leaves are referred to as “bay leaves”, but the true bay leaf is scientifically known as laurus nobilis. Many other leaves have a similar appearance and aroma like true bay leaves, but not the same nutrient content. These leaves have been a part of the culinary and medicinal world for thousands of years, dating back at least to Roman times. Bay or sweet bay is the leaf from a tree in the Laurel family. The seasoning is so commonplace that it is easy to forget that the leaves are from a growing tree. The uses of bay leaves include grinding the leaves into a spice to flavor soups and stews, but the leaves are most commonly added in the whole form as a flavoring for certain Italian dishes and are then removed or used as a garnish. Whole leaves are not commonly consumed. There is no extensive range of culinary application for bay leaves, although extracts of these leaves have numerous medical uses. Bay trees require full sunlight and need to be protected from cold wind and frost when they are young, they grow well in warm and moist climates. This means that summertime is when the seeds will be planted. Harvesting of the leaves will be a couple of years later in the springtime.